Are you sick and tired of working 9-5? Do you find yourself constantly working without much time or money left at the end of each month? Do you want to make money while you sleep? The truth is…life, if you’re not careful, can go a little something like this: Education until your early 20's, get a job, buy a used car, buy a house, get tied down to your job because of financial and family obligations and then one day, when you are 65 years old, retire and live off your pension. The world is changing around us and people are working in a job long after 65. What if there was another way? What if you could retire a lot earlier and find a way to make your money work for you instead of you working for your money? For those who don't want a lifetime subscription to mediocrity and work in a job you barely enjoy, there is an alternative; an expressway to extraordinary wealth that can explode your financial independence faster than any road out there. 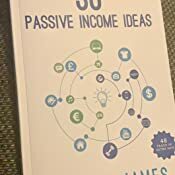 30 PASSIVE INCOME IDEAS will show you how to build your passive income portfolio and have more time to spend with your loved ones, travel and become completely financially free. 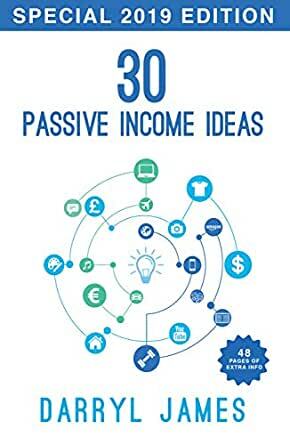 30 PASSIVE INCOME IDEAS is a guidebook and gateway to help you find a path in the world of passive income. The proven ideas, methods and pieces of knowledge within this book are so easy to follow. Even if you’ve never heard of passive income or financial freedom before, you will still be able to get to a high level of success. Having income without limits, you will learn everything that you need to establish multiple streams of income. Can you see how now is a good time to take action? You are the author of your life. This book has opened my eyes to how important it is to have multiple passive streams of income and how to become financially free.